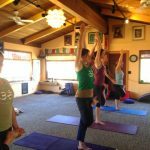 The Synergy Yoga Center offers a dynamic and nurturing yoga workout that helps develop strength, flexibility, concentration, balance, and well-being by working every organ, muscle, and system in the body. 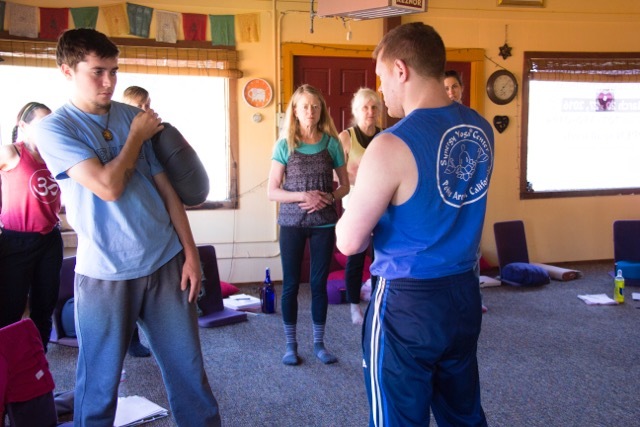 Classes are designed to accommodate all levels. 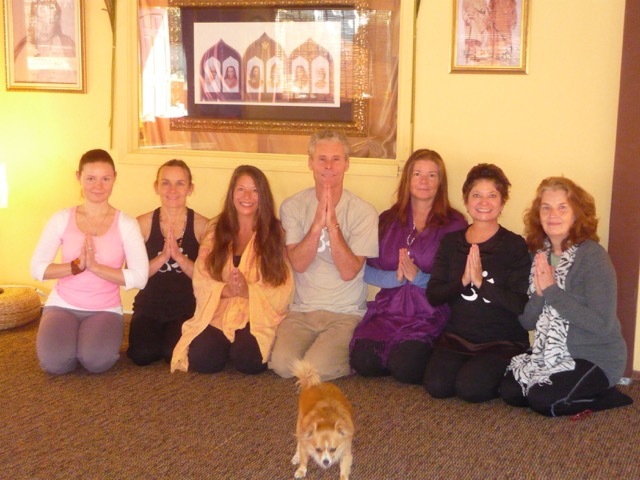 We offer beginning (gentle), intermediate, original, and advanced yoga classes. Synergy Yoga® Gentle is a one to one-hour-and-fifteen-minute relaxing workout in a non-heated studio. 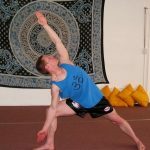 This flow is especially suited for beginners and those with injuries. 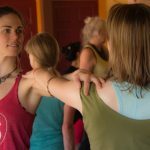 Synergy Yoga® Intermediate Power Hour is a one to one-hour-and-fifteen-minute workout in a non-heated studio using only one set of the Synergy Yoga postures. This is an ideal transition opportunity for those practicing Gentle who would like to try the next level, or those with time constraints. Synergy Hot Yoga Original® is a one-and-one-half-hour flow practiced in a heated studio. The class includes one hour of standing poses and a half hour of floor poses. Synergy Yoga® Prenatal is a one to one-hour-and-fifteen-minute rejuvenating workout practiced with Gentle Synergy. Synergy Yoga® Advanced is a two-and-one-half-hour flow in a heated studio requiring one year of yoga practice or special permission. This class is offered by invitation only. Check with your teacher to see if you are ready to join this class. We encourage you to try the next level. 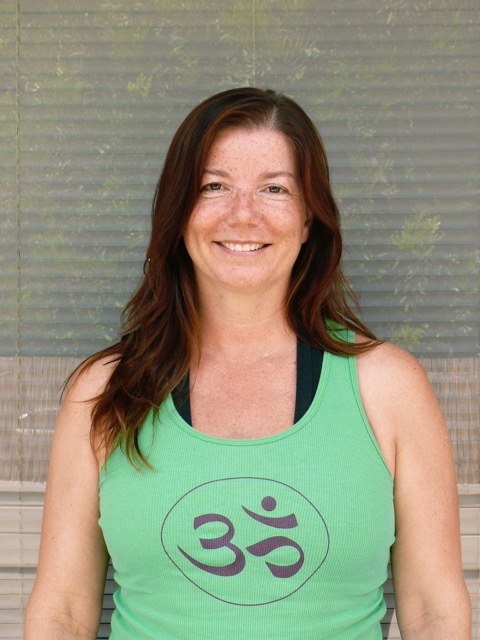 Synergy Yoga® Silent Class is a deep, meditative Synergy Yoga experience designed for regular students practicing at the Synergy Yoga Center for three months or more. Synergy Yoga® Chair Posture Flow is a deeply healing and rejuvenating flow for those recovering from injury or chairbound.Yoga has incredible health benefits and this flow will improve your health. Synergy Yoga® Kids Flow is excellent for children ages 4-12. Helps improve concentration, balance energy and emotions and build confidence. For maximum health benefits, we recommend 3 times a week for minimum maintenance, 5-6-7 times a week for optimum benefits. We are open every day of the year except for Thanksgiving, Christmas and New Year’s Day. Where are you from and what do you do in the world? Born in upstate New York, moved to San Diego with my family in 1955, moved to Point Arena in 1979. 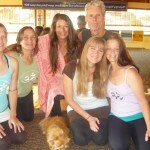 Teaching Synergy and mentoring Synergy Yoga teachers in training is what I do most importantly in the world. 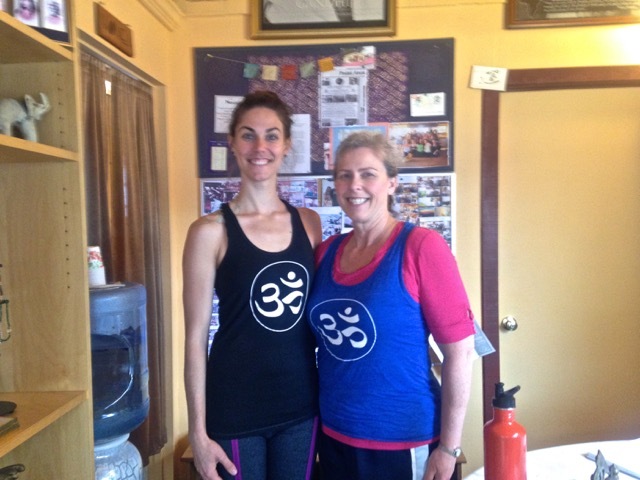 When was your first Synergy Yoga training? 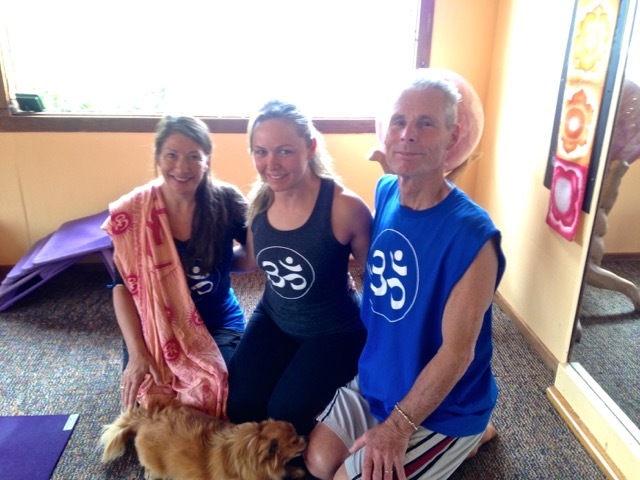 How long have you practiced yoga and taught Synergy? 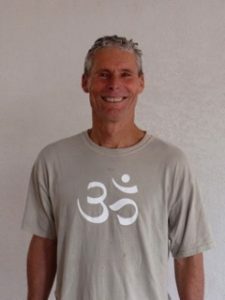 I have practiced yoga for 40 years, my first class was at 3:00am on the north short of Kauai in 1978. 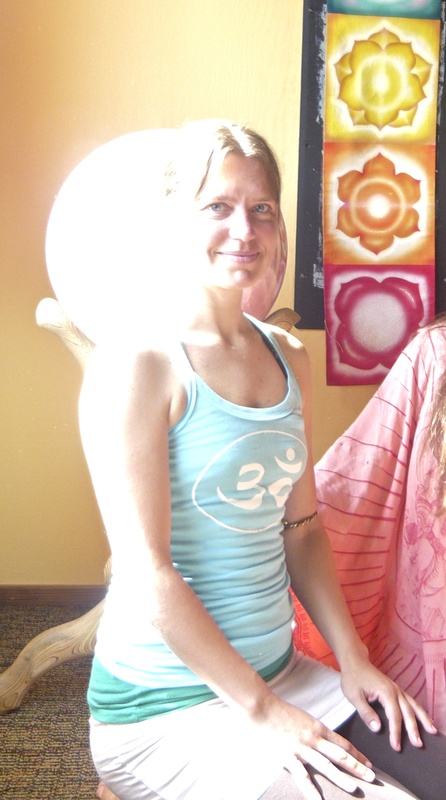 I have taught Synergy Yoga for 19 years. 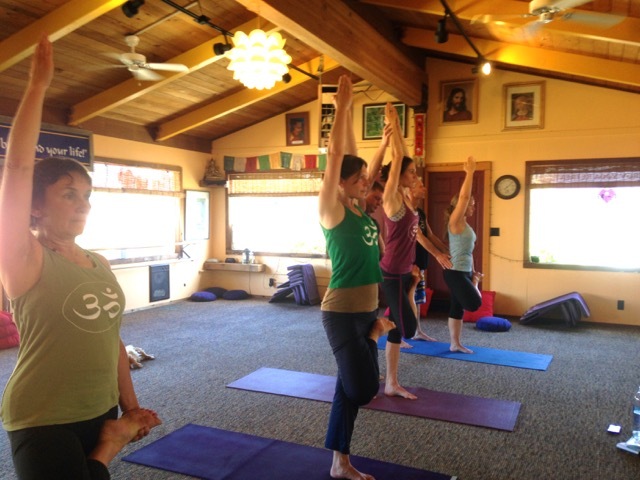 What is your favorite part of teaching Synergy Yoga? Experiencing the joy, transformation, feeling, and love with the students. 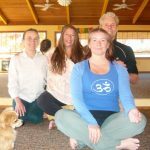 Your best advice for someone just beginning their yoga practice? Be consistent, prioritize your practice. Everything in the world can wait, the benefits of your practice cannot wait. Remember, your health is your only real wealth. And we do not know the hour of leaving this world. Keep your yoga practice strong, meditate daily without fail. 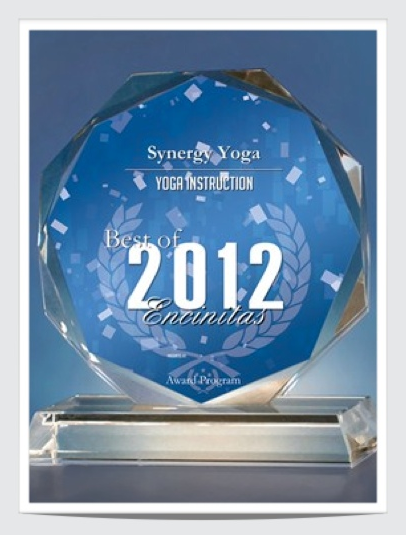 And finally, what do you most love about Synergy Yoga? 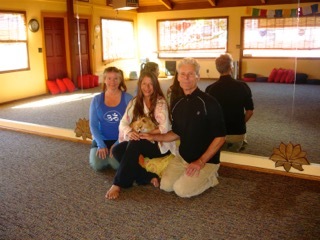 Of course, my beloved wife Peri, the founder and master teacher, who I have assisted for 19 years. Her example as a yogi on all levels. I am from Bavaria in Southern Germany. Half of my working time I spent at an IT-company as as bank software specialist. 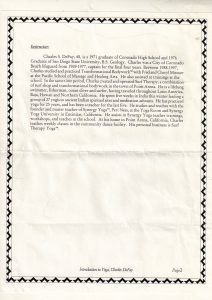 The other half I spent working as a Heilpraktiker (health care practitioner) specialized in Osteopathic Manipulative Therapy. 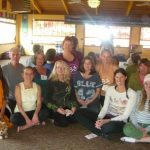 I started practicing Synergy Yoga in 2003 and did my first training in 2005 in Encinitas when I did my 10 day intensive. 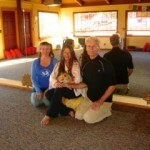 I have practiced yoga for 15 years have been teaching Synergy for 11 years. The “OM” at the end of class (from this you can tell how you did). Go with a holistic, consistent and scientific flow like the Synergy Yoga Flow, it helps you to gage your progress. 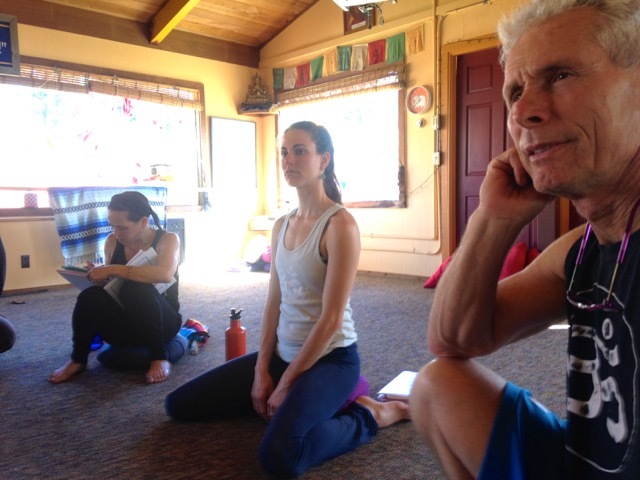 Don’t confuse Hatha Yoga with stretching! 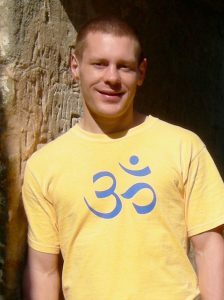 What I like and what drew me to yoga is the overall balance of the physical, mental and spiritual aspects in our classes. Nothing seems over- or underemphasized. My absolute favorite thing to do now is hang out with my 8 grandchildren (2 of which are in their mamma’s bellies). 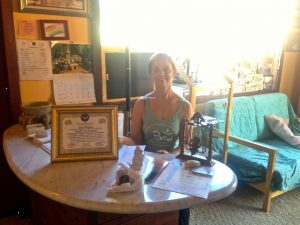 I also have a full time job home health and hospice nursing, so needless to say, I keep myself busy between teaching classes regularly at the Surf Therapy yoga studio. 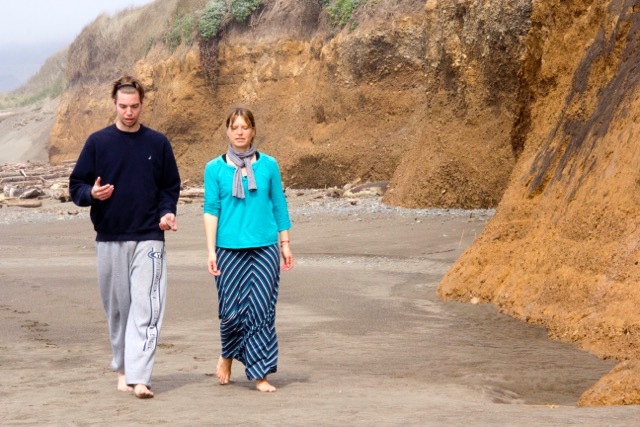 I started taking Synergy yoga with Charles back in ’97 and took my first yoga retreat with Peri at Point Arena in ’02. 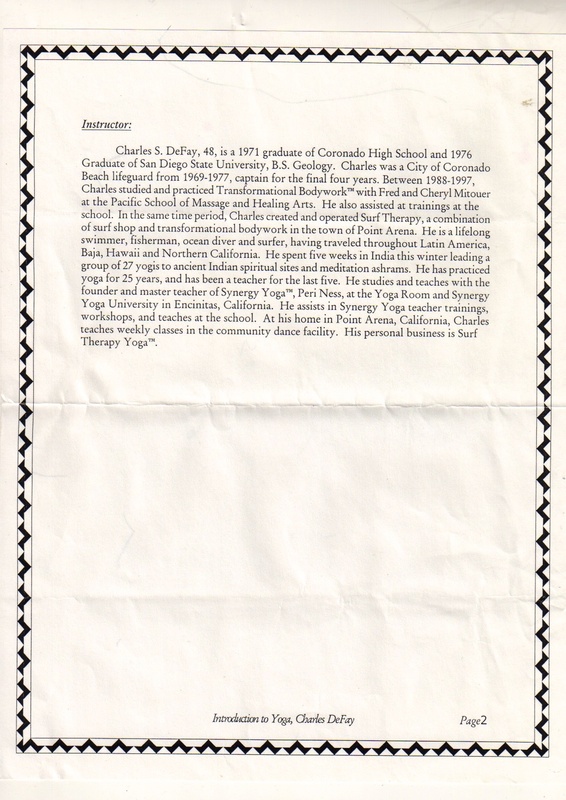 I started my training as a Synergy yoga teacher Nov 02 and received my certification the following Aug ’03 and have been teaching regularly ever since. I love the energy I receive as I teach yoga and I love being a part of an individual’s increasing their health and well-being through their practice. I have lots of advice but the best I would say is if you are just starting out in your practice is to COME TO CLASS regularly! 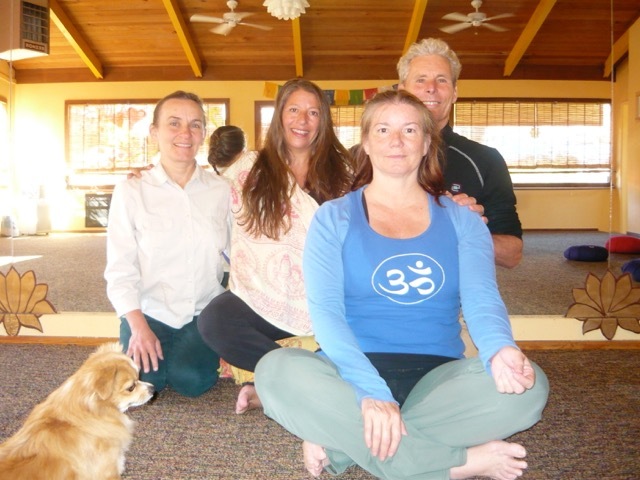 Take advantage of the retreats with Peri, Charles and the teachers whenever you can! You get great instruction in your alignment and breathing, meditation and healing on all levels that you can carry with you to your home practice and your LIFE! Plus it is so great consistently sharing intention with the yoga community. What do I do in my spare time? Come to class! And I love hiking with my good friends and dogs and spending more time with family. 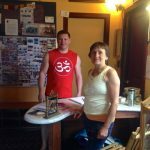 I want to express my great gratitude for Peri, Charles and Surf Therapy studio, truly a life raft for myself and community! Well wishes and blessings to all! 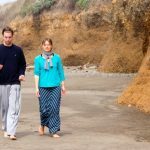 I am from Point Arena, CA and have lived in California the majority of my life. I have traveled a lot and the Coast of California is my favorite place on the planet. Wife of Mark Mason, mother of animals and business manager. 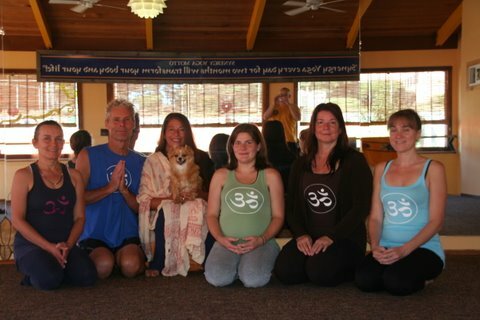 July 2007 – the one and only time that all women were in the 10 day retreat. 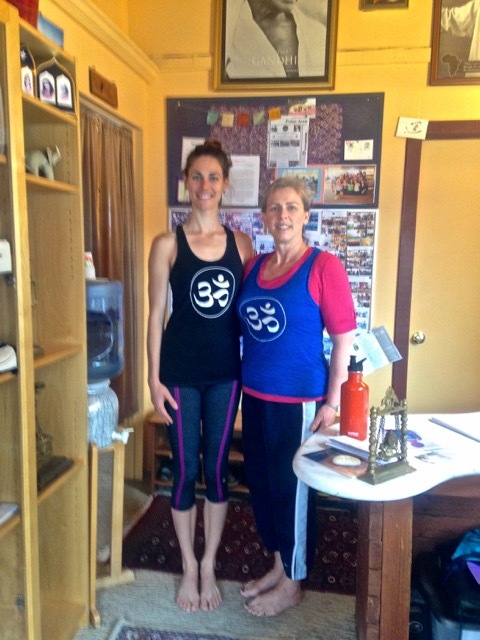 Connecting with people thru yoga is my favorite part of teaching. I love watching and assisting and providing that sacred and safe place where people can open their hearts and learn about themselves. This is the best thing you will ever do for yourself. Make the time to practice as much as you can and you will be grateful you did. Eventually you will learn how to balance your sadhana and your life. The tool of yoga will help you in anything you do. Too many to list. Everything is interesting to me in this divine drama and lately I have been enjoying the Mandolin and watching Game of Thrones. Can you imagine that? As you practice, don’t be afraid to look in the mirror and go within. The space within is so much larger than the space without. Look into your soul, open up that divine memory and remember who you are and why you are here. …aahhhh…. It’s like family…it’s familiar and although the flow is the same it is so different each time. It’s like forgiveness. It’s checking in to see “how am I doing” “how are you doing”. Whenever I see my family, it’s like a reset button. If things have been stuck, they are flowing now. If something has been hurting, it has been released. If I’m in emotional pain, I feel better. 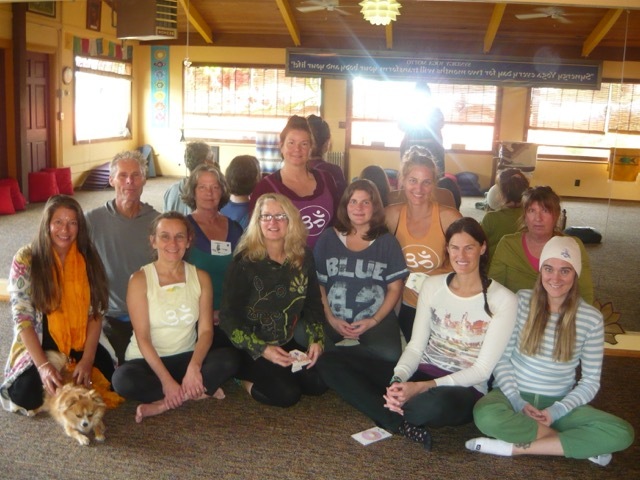 The teachers….the lineage…the students…the truth. It’s so refreshing to experience trust and truth. It’s a rock that I can trust to stand on and know that it will not fail. 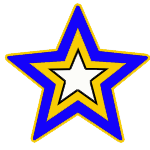 I was born in Berkeley, California and have a B.A. in Dramatic Art/Dance from UC Berkeley, and an M.F.A. in Choreography/Performance from the University of Utah. I was co-founder and artistic director of an intergenerational dance company, Wing and A Prayer Dance Company based in Reno, Nevada and a member of the Eleo Pomare Dance Company in New York where I toured nationally and in Europe. Before leaving New York I was a whale, dolphin and sea lion trainer at the New York Aquarium. Moving to Nevada, I served as Interim Director of Dance at the University of Nevada-Reno, and also as an artist in residence for California, Montana and Nevada. More recently, I have been the Theatre Director for Spanish Springs High School in Sparks, Nevada. 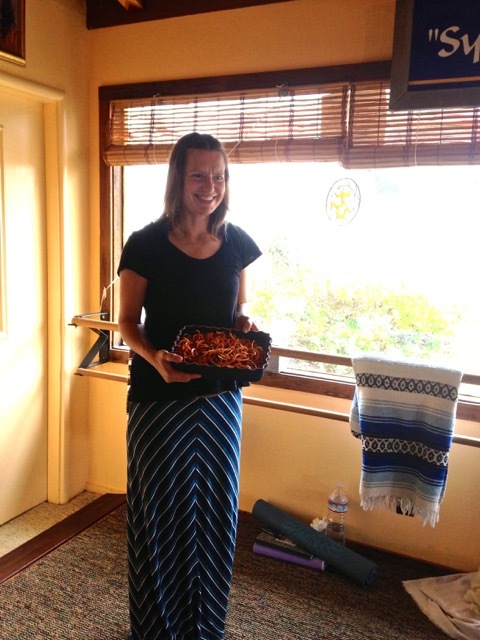 My first Synergy Yoga training was in Point Arena. I took classes and several workshops and my way of life transformed and brought new inspiration to my work and way of living. After a few workshops with Peri and Charles, I signed up for the teacher training and was certified in 2014. 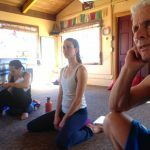 My favorite part of teaching yoga is observing and contributing to the positive transformation that takes place with each class and knowing the quality of life it brings to the students. My best advice is to practice yoga daily or as much as you can even when there are physical, mental or emotional challenges. The consistency brings your healthy mind and body together and balances all that is going on around you on the outside with inner work. 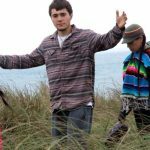 My interests are increasing awareness and knowledge of the earth and all sentient beings and to protect the natural habitat for all species so we may co-exist in harmony and to continue to explore ways of natural building and sustainable living. 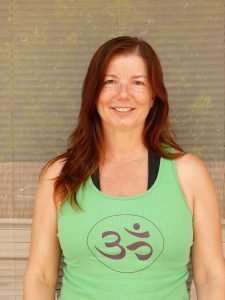 I love Synergy Yoga because of the meditation and stillness between the postures and the holistic integration of the physical, mental and spiritual parts of being. Life is a gift. 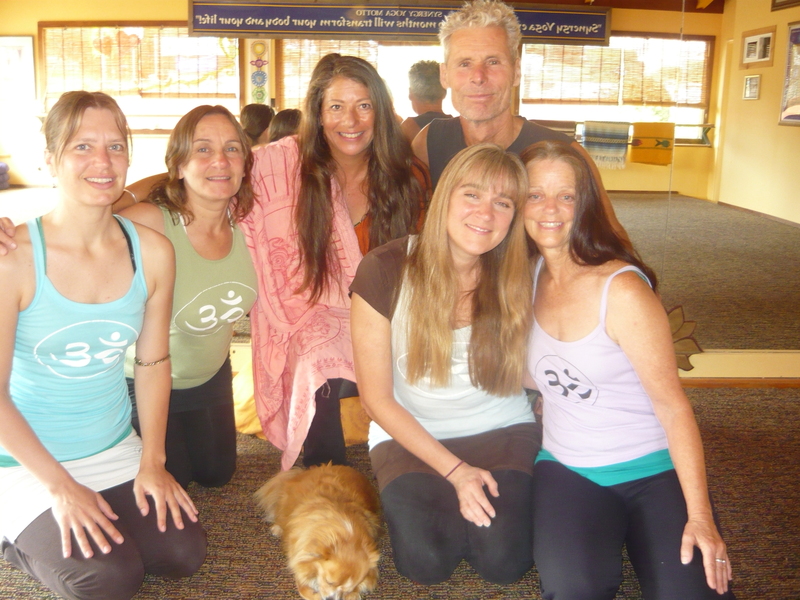 The practice of Synergy Yoga nurtures and strengthens this gift. 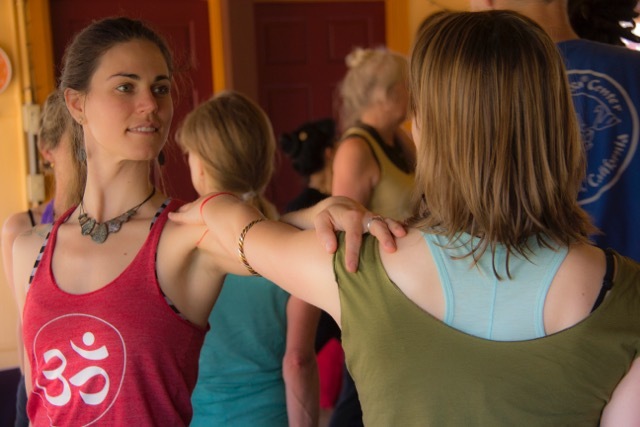 With Synergy Yoga, you never stop learning something new about yourself and the variety of flows make it accessible to all students who wish to practice. 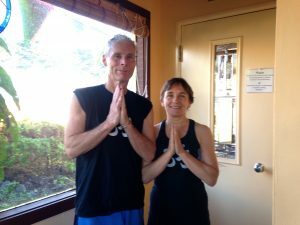 I am grateful for our Founder Peri Ness DeFay and Charles DeFay my mentors and life long teachers for the gift of Synergy Yoga. Namaste. I am from Jurupa Valley in Riverside County, Southern California. My first Synergy training was in 2013. I have been practicing for 7 years since 2009. 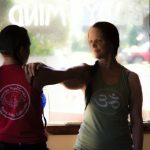 My favorite part about teaching Synergy Yoga is the lessons from my own practice are affirmed in teaching the practice to others. Joining students in the special place of discovery you are in everyday in your practice. Presence. My advice for someone just beginning their yoga practice is to relax, everyday you are in progress. Consistency is key, a little bit everyday goes a long way. I am a mother, love gardening, plant identification and wildflowers. Waitress, also on the Sparx Storytelling Board in the community. I love preparing and cooking; artful culinary expression with the freshest foods. Music and dancing, fitness and holistic living. I also have a bodywork practice. 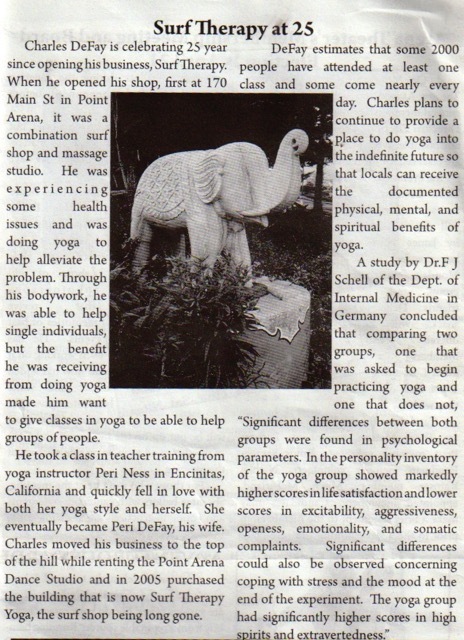 I have roots in the Encinitas yoga community. I’m a graphic designer and have a master’s degree focused on interactive media and ethnography. 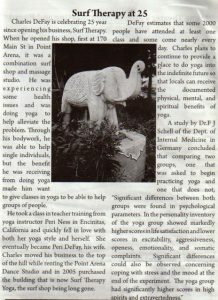 My yoga practice began at The Yoga Room in 1992. 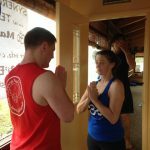 I’ve mainly taught intermediate and 20-minute Synergy classes since my training in 2002. Yoga offers a rare opportunity to experience harmony in diversity. Group practice is always uplifting and surprising no matter how much or how little previous experience each person has. My favorite part of teaching is creating space for this collective spirit to exist and grow. 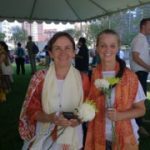 It is also very special to share simple techniques of building body-mind awareness and balancing spiritual with material aspects of the human experience. Bring what you learn into every moment of your day, every space you move through, and every activity in your life. For example, try practicing a sun salutation in every room of your house or workplace and see what this inspires you to change. Walking is my favorite way to get to know a new place or spend time in my own neighborhood. My favorite terrain is the granite- and moss-covered Finnish forests. I’ve recently been exploring the Los Angeles mountains and started a small collection of native seeds, flowers, and berries. Also, Indian classical music has been a part of my life since childhood and I have an appreciation for music as a tangible, peace-building force in the world. Consistent yoga practice is priceless, timeless, and fun! 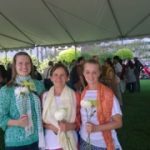 Pranams yogis! 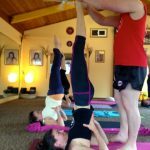 Synergy is the most balanced yoga system I’ve experienced. 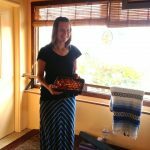 I’m an explorer and have taken my practice around the world. My Synergy training gives me the skills and perspective I need to revive my body, inspire next steps, and open doors everywhere. 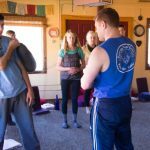 Obstacles of language, culture, geography, and physical conditions have all dissolved through the graceful process of postures and meditation that composes every Synergy practice. 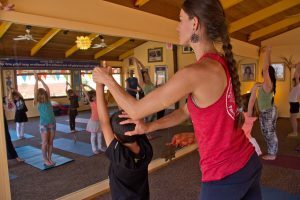 The Synergy Yoga Center has been open to everyone, limitations or not; there is an emphasis on safety in all classes and teacher training – honoring the students experience in yoga through a class that integrates body, mind and soul. 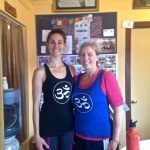 I attended my first Synergy Yoga class with Peri Ness over two years ago. It was an incredible experience for me. I was going through a tough time, and the impact that the flow had on me was so profound, that I started coming almost every day. 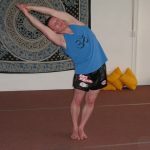 Prior to finding Synergy, I had never committed to doing regular exercise – I had only sporadically went to the gym or took occasional classes, including different styles of yoga. 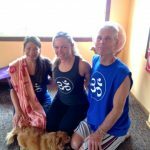 The Synergy flow helped me to process and connect on all levels. 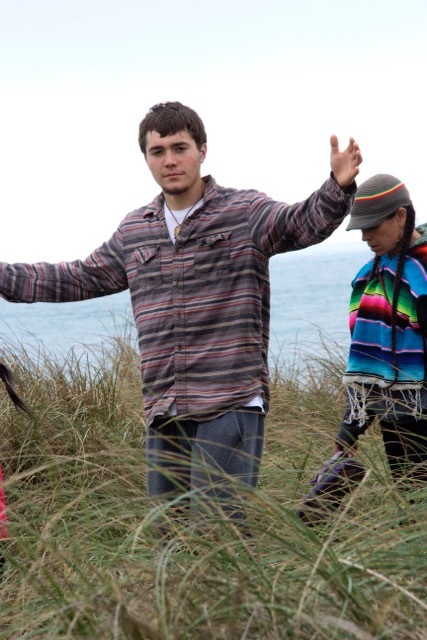 My name is Grant Vergottini and I have been practicing Synergy Yoga since 2006. I go to the Yoga Room 2, 3, or 4 times a week after work. I find it to be a wonderful break from the daily grind of deep concentration developing intricate software. 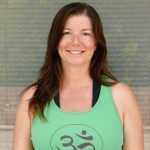 I started doing synergy yoga out of curiosity, but quickly became hooked when I discovered how much better I was looking and feeling as a result. 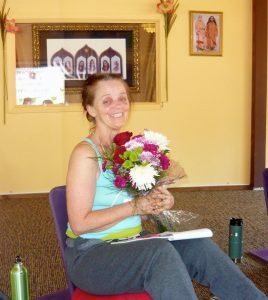 Since I started at the Yoga Room, I always really like the instructors, the atmosphere, and the classes. 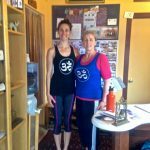 Compared to other yoga classes I have taken, the greater intensity, discipline, and spirituality of Synergy Yoga made it more special to me. I quickly became very fond of the various instructors. I send my full support to Peri, Charles and the rest of the staff.